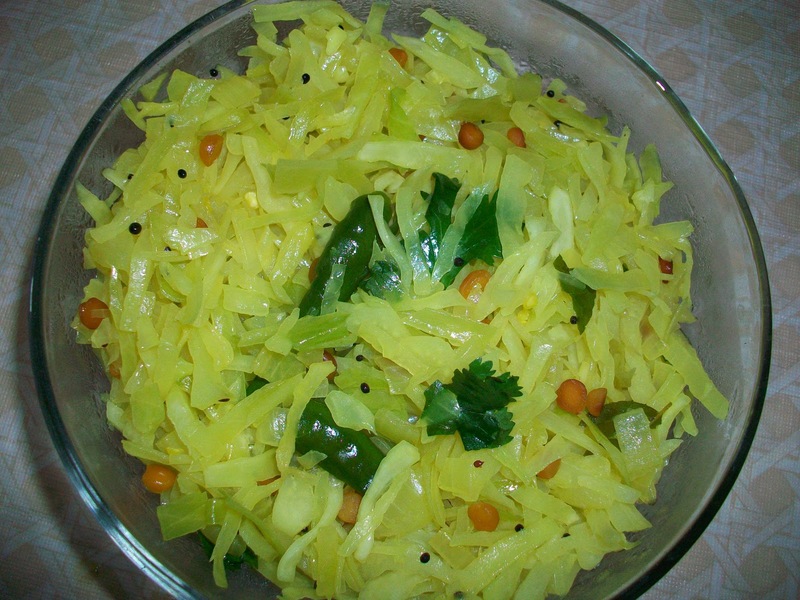 Poriyal is a side dish made using any vegetable and traditionally served along with rice. But it can also be served with chapathi/dosa and sometimes u can this for ur sandwich filling. 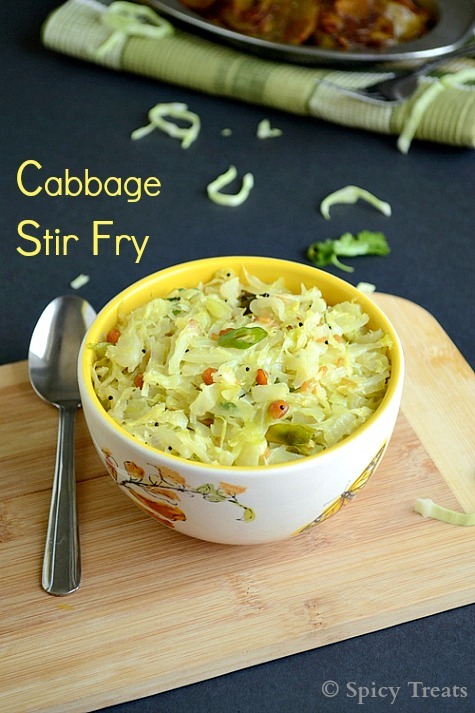 This Cabbage stir fry or poriyal is a simple & delicious side dish that can be made in a jiffy. Cabbage is rich in fiber content and its good to include it in ur meal daily or often. This is a low calorie stir fry with more nutritional benefits. I like to add turmeric to all my cooking, since turmeric has lots n lots of health benefits, healing properties and much more values. So try to include this spice in most of ur cooking. Now off to the recipe..
How to chop cabbage thinly? As per the reader's request the below pics help you to chop cabbage thinly fine pieces..
Heat oil in a kadai,add mustard seeds when it pop add chana dal n urad dal fry golden brown. Add chopped onions, curry leaves and green chilies, saute till onion get light translucent. Now add chopped cabbage, turmeric powder and enough salt, mix well. Sprinkle little water, close it with a lid and cook for 4-5 minutes. Open the lid and stir well, cook in medium heat keep stirring till cabbage get soft and cooked. At last add few chopped coriander leaves and shredded coconut stir well and remove from the stove. That's it...Cabbage Poriyal /Stir Fry ready. Cabbage and carrots should not be over cooked, if so it will loose its nutritional contents. So remove form the stove when it is 90% done. Instead of green chilies u can also add red chillies or chilli powder. sorry for the delayed reply, i have shared few pictures above to show you clearly on cutting cabbage thinly. Hope this helps!